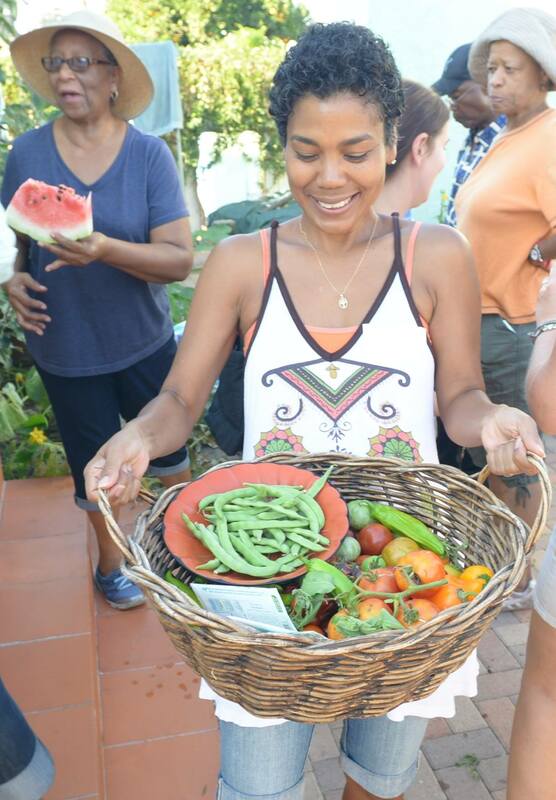 Food continues to be one of the most successful instigators of community gathering, engagement, and interaction. It can also be an excellent enabler of public space improvements. 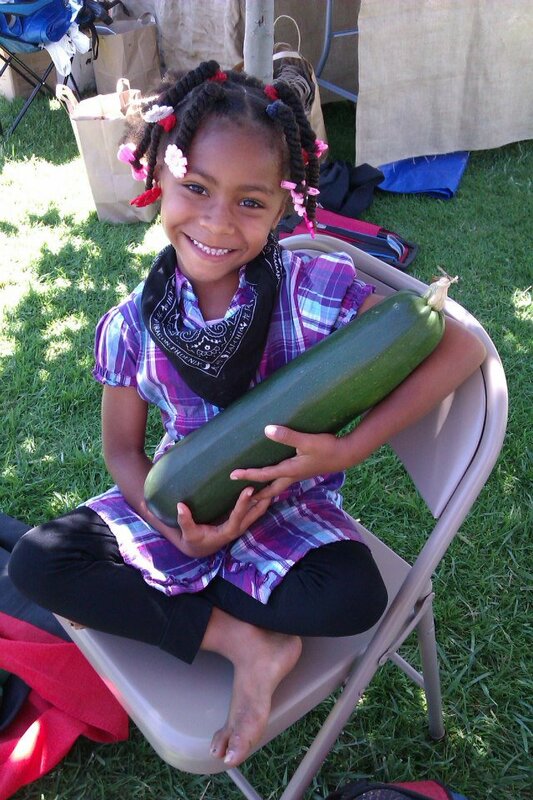 In South Los Angeles, the volunteer organization LA Green Grounds has been converting underutilized lawns into edible gardens for public consumption. The project was started in 2011 by Ron Finley who, after being inspired by a gardening class at the Natural History Museum, began planting a garden on the strip of empty land between the sidewalk and road outside his home. By spring, it was blooming with vegetables. It quickly sparked the interest of neighbors who began helping Finley maintain the garden. 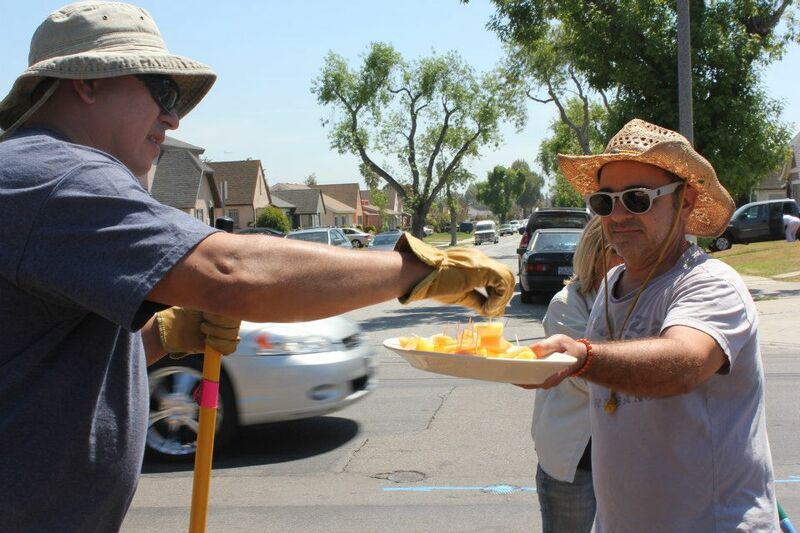 Much of the produce was given away to those in the community who might otherwise be unable to afford it. The garden, however, was not appreciated by everyone. Finley received a citation by the Bureau of Street Services to remove the plantings and fought hard to make his case to both city officials and the media. Though the charge was eventually dropped, it was not without a fight from its most impassioned stakeholders. 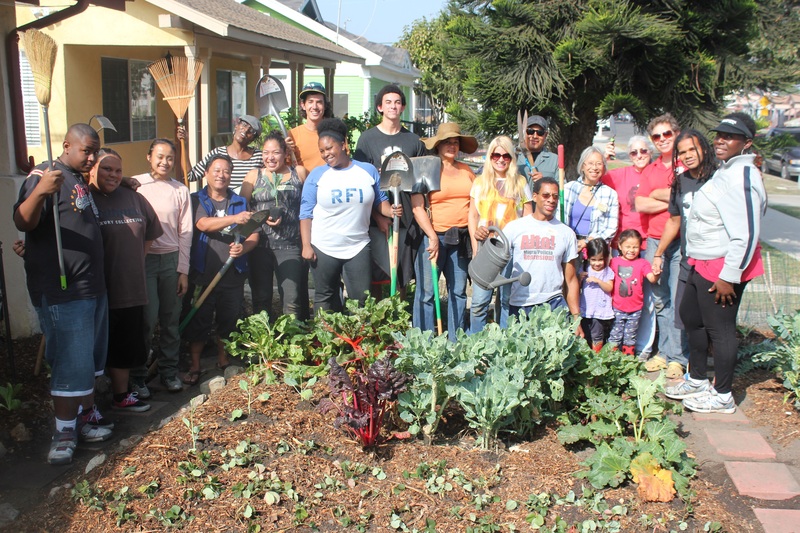 Since then, LA Green Grounds has facilitated over 20 “dig-ins” in which communities come together to transform their front lawns into edible gardens. 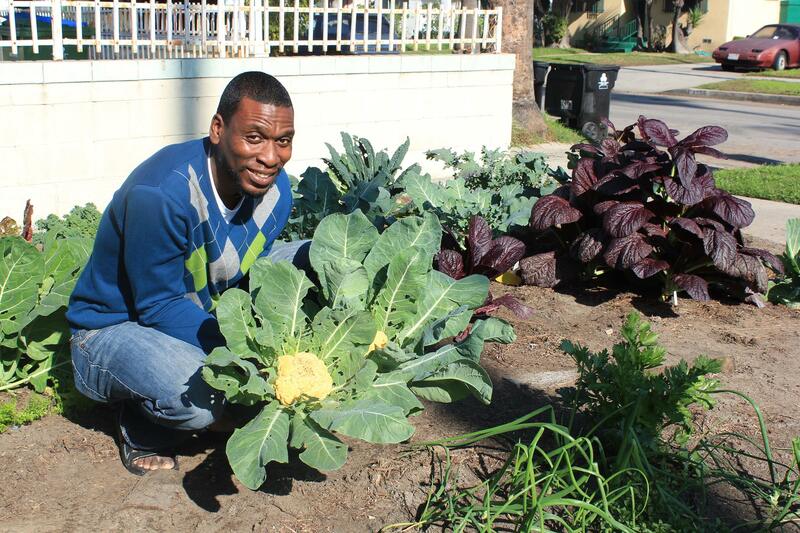 The projects help build neighborhood ties while addressing the lack of fresh, affordable food options in many Los Angeles neighborhoods with beautiful gardens. 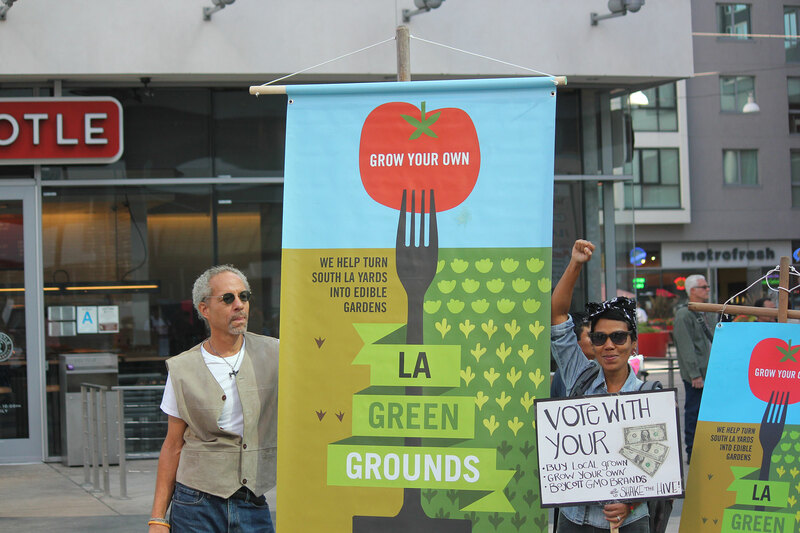 Today, LA Green Grounds is active in local politics, working to change city policies that impede access to local, edible gardens.